Home Earn Money Online What is Bitcoin and how does it work? It's hard to deny that Bitcoin is changing the way we use the money and our acceptance of how the currency should work. So what is Bitcoin exactly? A Bitcoin is one unit of digital currency its internet money. 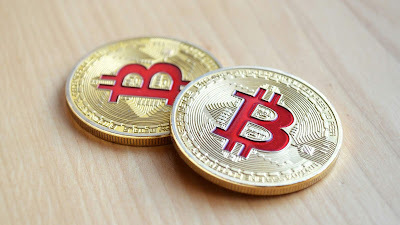 Unlike dollars, rupees, euros or yen bitcoin is considered as a decentralized currency that means a network of users can control and verify transactions instead of bank or government. It still works like real money as one person pays another person for goods and services. However, once money is exchanged the record of the transaction is publically recorded onto a legit known as a Blockchain. Other Bitcoin users known as miners verify their transactions in the Blockchain. After a certain amount of transactions have been verified by a miner that miner will receive newly minted Bitcoins for their work and thus new bitcoins will be added into circulation. How bitcoins have been created? Well, there currently more than 12 million bitcoins are in circulation. The creation rate is automatically halved every few years as more Bitcoin is added into the circulation. This system modeled after gold mining makes finding new Bitcoins more rare as the number of available bitcoins reaches the 21 million cap. So, should you rush out and start converting all your money to bitcoins not necessarily well a few websites such as Reddit, Wordpress, and Overstock have begun accepting Bitcoins. Most major retailers have yet to take pledge also like any other commodity the value of Bitcoin is only worth if people are willing to pay for it. In April of 2011, the value of one Bitcoin is 75 cents and In December of 2013, the value had reached as high as 1,200 dollars.